Black McCarthy is despatched to INTERFOLD - The Time Travel Hotel Republic to track down "Eugenides". His client, the Wolf, is on his back demanding progress as INTERFOLD keeps shifting time and place, throwing up residency and immigration anomalies as it does so. Help of a kind is on hand via the Dwarf with the Horse, the Man Who Fell Through Floors, the Girl With Nine Lives, the Nurse With The Curse, and Joylin - the INTERFOLD receptionist. But who is Eugenides? The ManWho Lived in a Vacuum Cleaner? The Man Who Dreamt He Was Dreaming? One of the other oddball residents? Is winding up naked in a sauna elevator in the Car Park at Infinity really going to help track him down? Unfortunately for Black, his client is not the only one who wants Eugenides found, Black is possibly the worst detective money can buy and time is not only against him but ignoring all the usual rules. 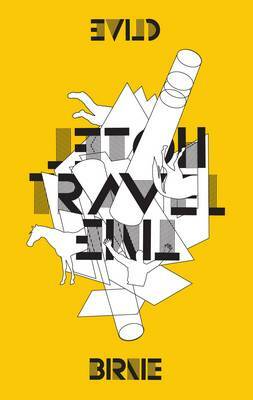 Beneath the black humour and dystopian anarchy Time Travel Hotel is an exploration of identity and whether we are defined by a place of origin, residence, citizenship or by the decisions that propel us through life. It is a book about regret and missed opportunities. A book about going back - if only you could.